hightouchmegastore: On trying to make a screencast. It's no good when the tools don't work. When every time I open my online screencasting platform, it tells me I got no Java. 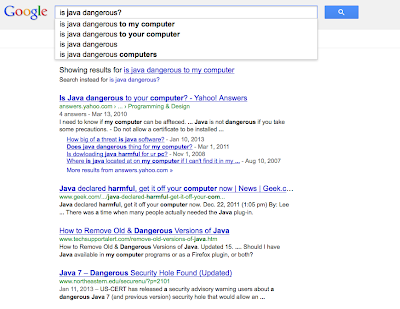 And when I google how come I got no Java? I find out that you, my OS, you took the Java preferences clean outta there upon the last update. There is a system, my OS provider, a system that I have cobbled together out of Prezi and content and Screenr and usually YouTube. And the Screenr, she needs the Java. And you are telling me I got no Java? And you didn't even tell me so in the first place? 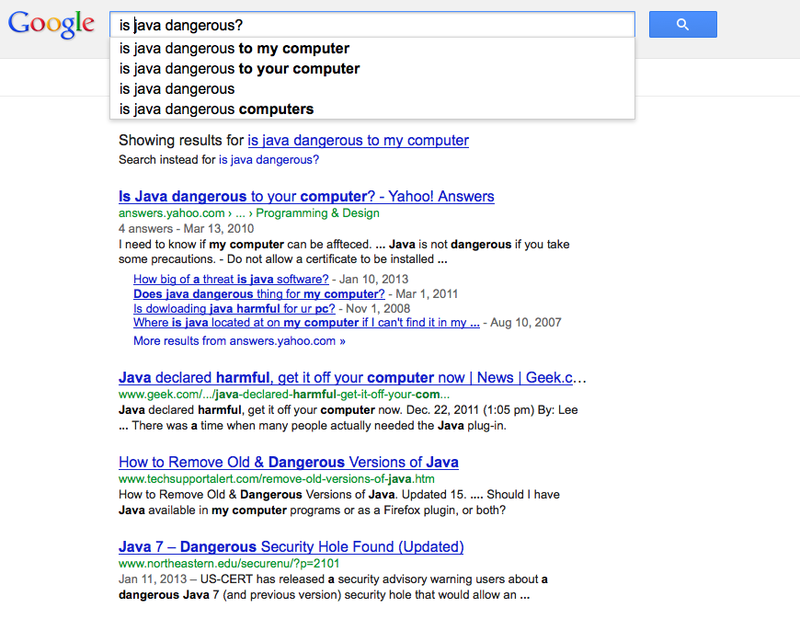 In your defense, there is a bunch of yellling about Java and how it is dangerous, so maybe you're right. Maybe I shouldn't have it. But the screencast! It languishes! It shall perhaps remain uncast! Thus flummoxed by tomfoolery, shenanigans, and dilemmas, I had to respond to some student writing by hand. By hand, my OS provider! This is what it's come to. All that Java-hunting has made my wrist sore. So what have we learned from this? Don't try. Also that you're a damn fine writer, htFms. Here, here to radagast's comments!! I learned about my lack of Java oh, about 10 minutes before I had to use it to access Wimba for an online chat. *sigh* Dang java! Dang updates! Dang! Dang! Dang!